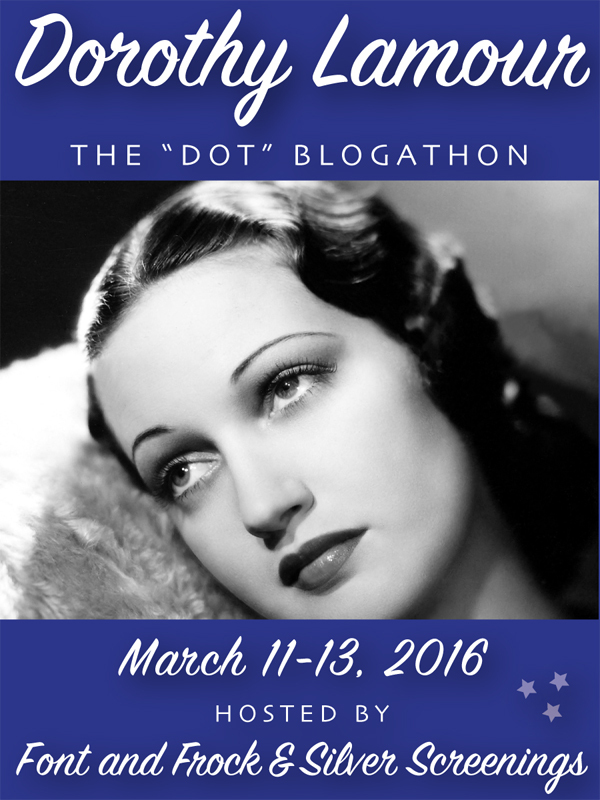 We are so excited to announce the Dorothy Lamour Blogathon! Wouldn’t you agree it’s time we celebrated this talented woman? Dorothy was much more than the sarong she became famous for – she was a singer, an actor, a mother and a dynamic fundraiser of American WWII war bonds. 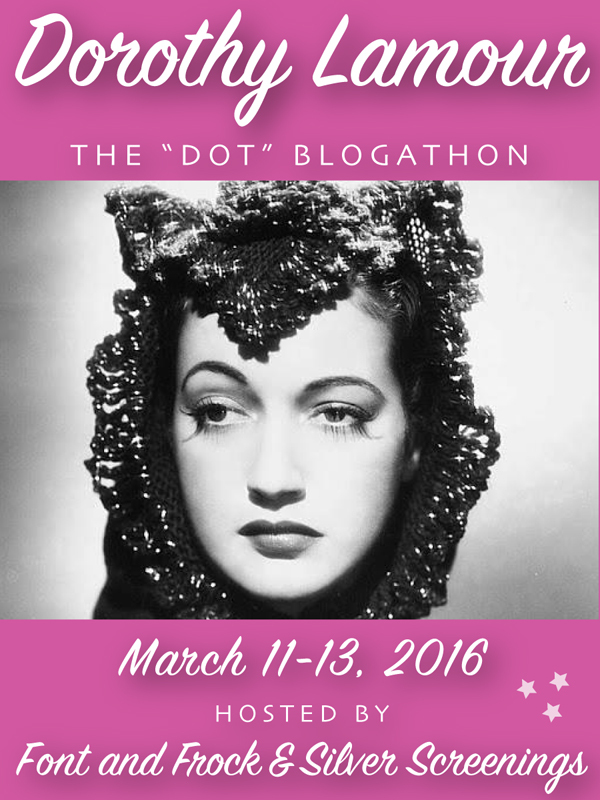 Our fab friend Maedez at Font and Frock and A Small Press Life suggested we toast the remarkable Dorothy Lamour, and so we shall: March 11-13, 2016. 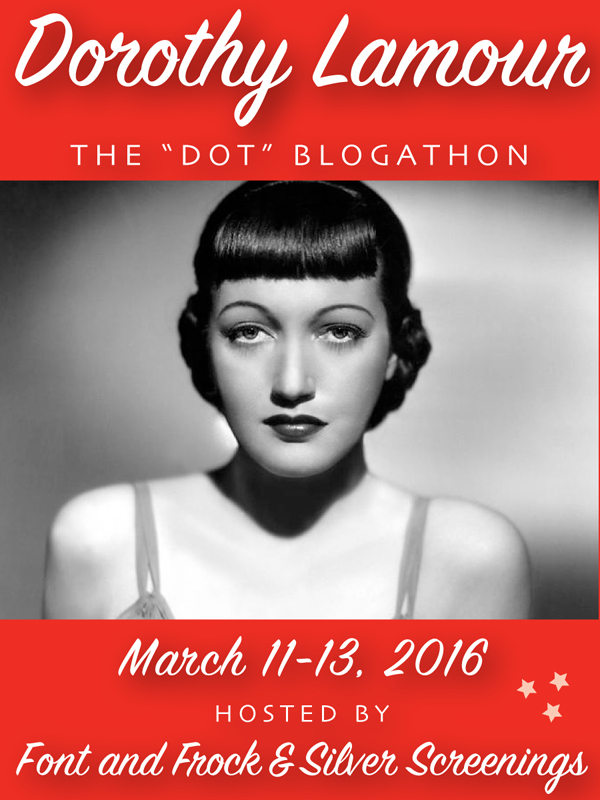 For the blogathon, you can write on any movie or subject associated with Ms Dorothy, including her film, theatre or television appearances. Duplicate topics are A-OK.
A list of Ms Dorothy’s movies can be found HERE. You can sign up using the form below, which was designed by our smarty-pants friend Kristina at Speakeasy. Please help yourself one the banners below to help us promote the event. 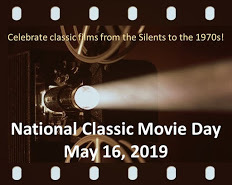 I’m co-hosting this wonderful blogathon with Ruth of Silver Screenings! Let’s get the party started. If I hadn’t already reviewed PAJAMA PARTY, I’d do it. By the way, you always create the best Blogathon posters. Claimed “Swing High, Swing Low” until I found out it already has been claimed, so I will focus on the Lamour-Lombard friendship. 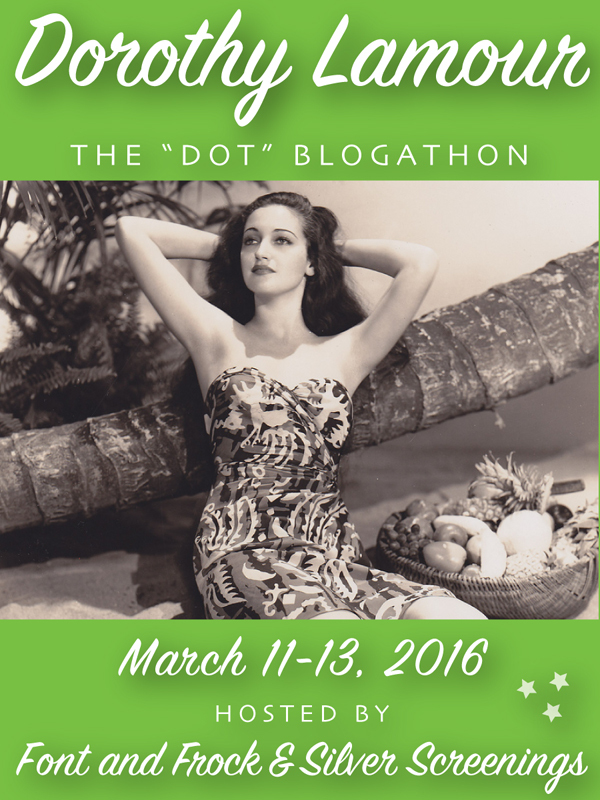 Just gave the blogathon a plug at http://carole-and-co.livejournal.com/839767.html. She was such a beauty! One would never really notice, though, if all one sees is her “road” pictures with Crosby and Hope. Your opening photo is proof of it. 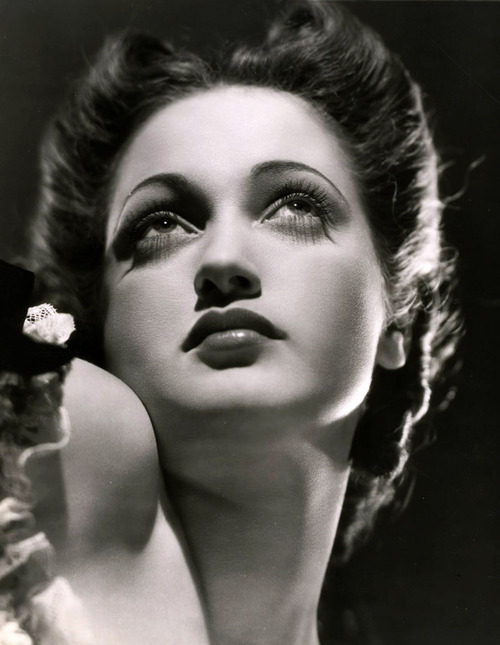 I was wondering if it would it be possible to do a second post on Dorothy Lamour? I’ve always wanted to rhapsodize about her singing in Johnny Apollo of the song “This Is the Beginning of the End.” Something celebrating her as a torch singer, maybe? Of course! Yes, that would be great! Can I join this and do Lulu Belle? I see it is actually out on DVD in the UK, amazingly. Sorry, I’ve just noticed there is a form – have filled it in! hey y’all, I’m sorry but I’ve got to bow out 😦 But I look forward to reading everyone’s! Fabulous! I’ve been looking forward to this! You’ll be included in tonight’s recap. Excellent! Thanks so much. This post will be included in tonight’s recap. Yay! Hi Ruth. Here is my entry. I ended up doing a pictorial. I’ve been really busy and didn’t get a chance to watch “My Favorite Brunette”. I hope this ok. Thanks so much for hosting. Thanks. I look forward to reading the rest of the entries.